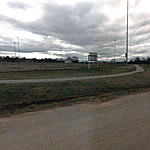 1/2 mile asphalt trail located at the baseball park in Moundville. The trail accommodates pedestrians and bicycles. Hwy 69 South from Tuscaloosala to Moundville; left on Industrial Drive. Trail is on the right around baseball complex.